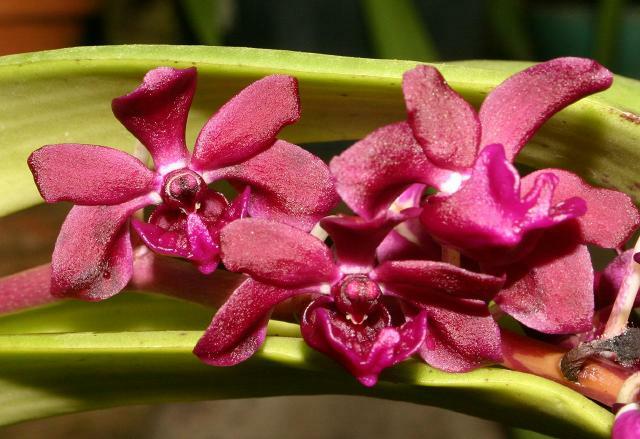 This species occurs in Myanamar, Thailand, Malaysia, Laos, Cambodia, Vietnam, Hainan China, Borneo, and the Philippines in semi-deciduous and deciduous dry lowland forests and savana-like woodlands at elevations of sealevel to 700 meters as a medium sized, monopodial, warm to hot growing, vandanaceous epiphyte with a stout stem carrying imbricating at the base, linear, very thick, channeled, acute lobed apically leaves. 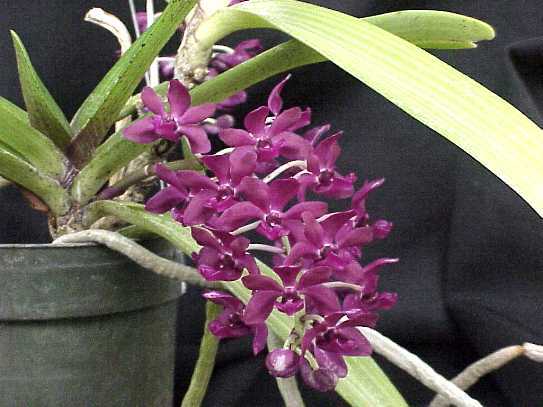 The axillary, arcuate, to 15" [37 cm] long, racemose, densely many flowered inflorescence, which appear in autumn and winter, have sweetly fragrant blooms that last for about two weeks. They need ample bright light and even watering and fertilizer through out the year. 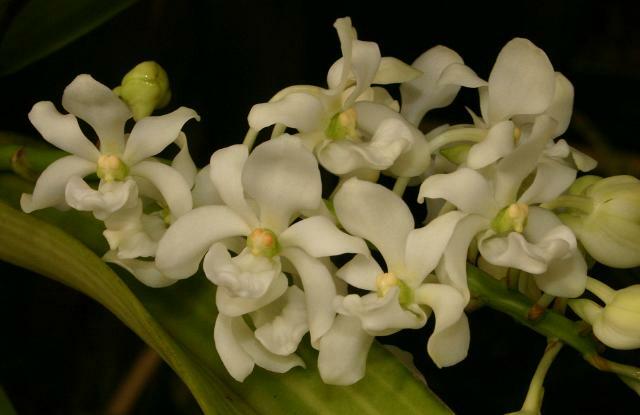 Rhynchostylis gigantea [Lindley]Ridley var alba 1896 Photo courtesy of Patricia Harding - Copyright © 2002 All rights reserved. 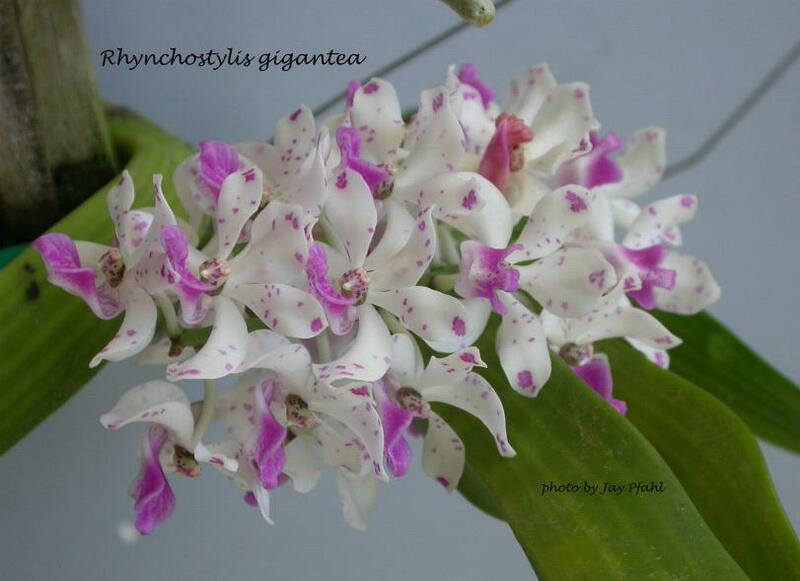 Rhynchostylis gigantea subsp. 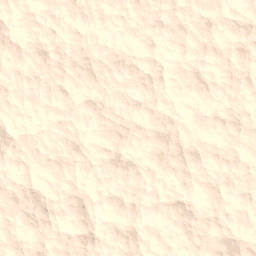 violacea (Lindl.) Christenson 1985 Photo by © Eric Hunt and His Orchid Website.